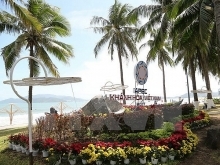 Themed “Vietnam: We Mean Business”, the one-day event had six thematic discussions on smart agriculture, financial services, health care and education, infrastructure, tourism and special economic zones, small and medium-sized enterprises, startup and renovation. 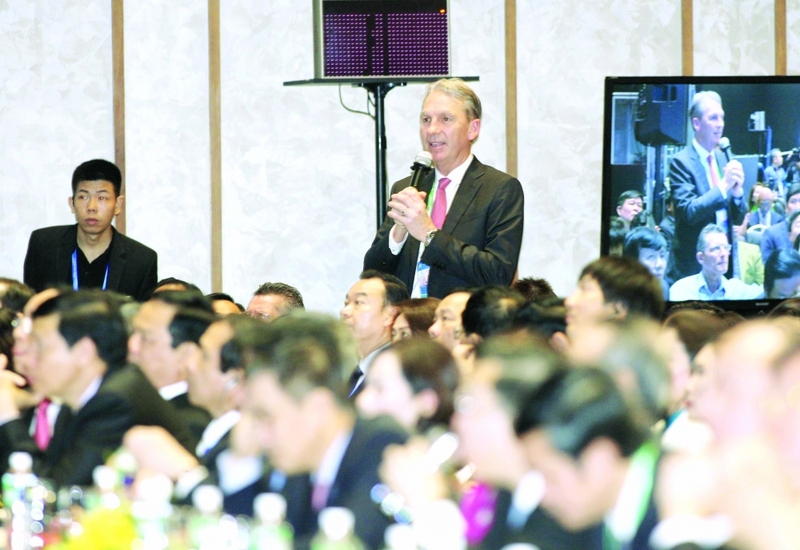 It brought together 2,000 businesses from the Asia-Pacific region. In his speech at VBS 2017, Vietnam Chamber of Commerce and Industry Chairman Vu Tien Loc cited the comment made by the late Deputy Minister of Foreign Affairs Le Mai about the process of normalization of US-Vietnam relations: Vietnam is a country, not a war. Today, following great efforts to integrate into the global economy, the Vietnamese business community wants to tell the world that Vietnam is not a war, that it is not only a country but also a reliable trading partner. The results of a survey conducted by the American Chamber of Commerce in Singapore this past September show that 56 percent of surveyed businesses considered Vietnam their best trading partner. Vietnam’s gross domestic product (GDP) is expected to grow 6.7 percent in 2017 and 6.5-7 percent annually in the 2016-2020 period. Per capita income has reached about US$2,300. The World Bank’s Vietnam 2035 Report shows that the middle class currently accounts for about 10 percent of Vietnam’s population and is predicted to reach 50 percent by 2035. More jobs will be created, and Vietnam will increase its participation in regional and global supply chains and manufacturing networks. The growth of the middle class will change the consumption structure, opening new opportunities for investors. 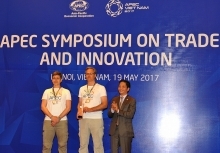 Vietnam’s hosting of the year-long events of the Asia-Pacific Economic Cooperation forum served to showcase its achievements in the international integration process. It especially underscored the strong government support for and encouragement of the business community’s creativity. However, Vietnam still lags behind many other economies in terms of finance and technology. The knowledge and experience, as well as management skills of micro, small and medium businesses remain limited. 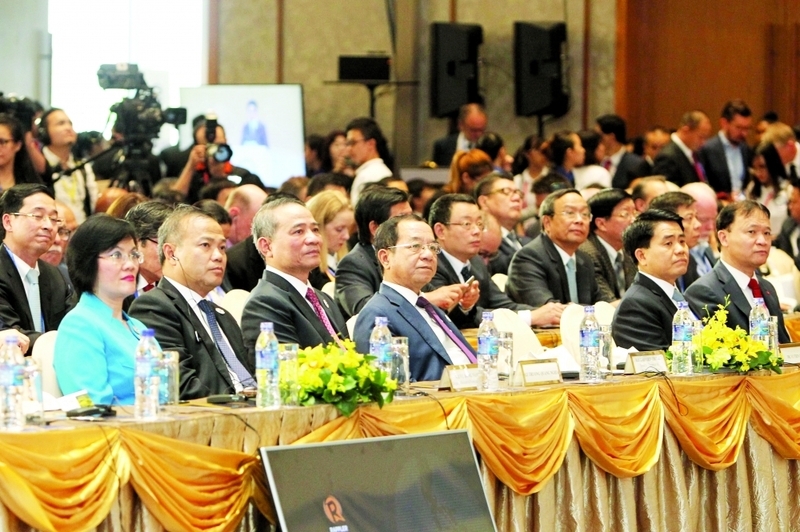 Therefore, VBS was a significant initiative for the Vietnamese business community. 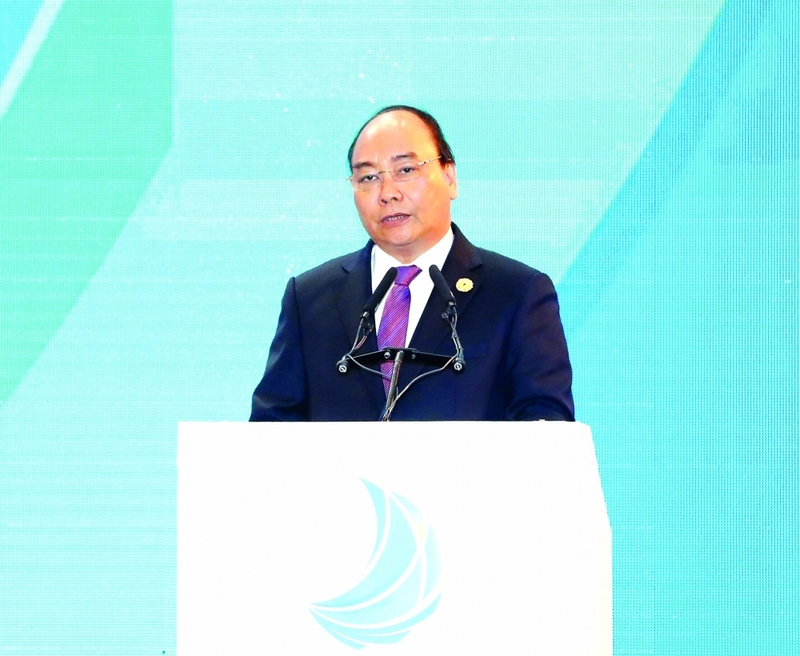 In his speech at VBS 2017, Prime Minister Nguyen Xuan Phuc affirmed the summit would provide the 21 participating economies with an overall look at the Vietnamese economy, as well as Vietnam’s development policies. He predicted the summit would open opportunities for foreign businesses and investors to operate successfully in Vietnam, a rapidly growing economy with sound reform policies. “We are determined to build a constructive government that works to serve the people and businesses; accelerate international integration; maintain macroeconomic stability; promote institutional and policy reforms to achieve sustainable development goals, create more jobs and increase incomes for the people,” PM Phuc said. PM Phuc added that the government would concentrate on improving institutional quality and policies to encourage the private sector’s development, reduce the gap between low-income and middle-to-high income earners. At the same time, Vietnam will develop a creative startup economy, support and create favorable conditions for the implementation of startup ideas, and protect creative ideas. The APEC CEO Summit was the largest event of its kind in APEC’s history, taking place at a significant point of time for the entire region. Discussions focused on the need for the Pacific Rim nations to create new driving forces for future growth and make necessary changes to meet new requirements of globalization and regional integration. Participants addressed issues relating to globalization and the future of their economies, as well as industries that will create new job opportunities in the future, and initiatives to increase regional linkages. APEC is facing many difficulties and challenges, a “new normal” with an economic slowdown, low productivity growth and increasing inequality. To promote inclusive economic, social and financial development, the APEC CEO Summit 2017 proposed government support for the strong growth of micro, small and medium enterprises.